Home > Portfolio > Kitchens > Private Residence, Chapel Hill. Private Residence, Chapel Hill. 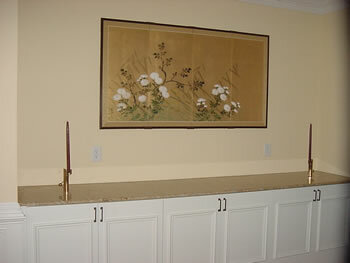 The decorator of this Chapel Hill residence requested a granite buffet top that would complement the client’s elegant Japanese screen. Kashmir Gold, an Indian granite, served as a perfect solution for this need.